For me electronic flash is a sometimes necessary evil in herp photography. I would so much rather use natural lighting, but there are times, (photographing nocturnal species for instance), where you have to use flash. Most digital cameras have a built in flash, but its placement means that the light will always be coming from the front and sometimes will even get blocked by the lens when used for close-ups with relatively short focal length lenses. So most of us eventually end up buying an external flash. For close-up work, a bounced or diffused flash in the hot shoe is definitely an improvement over the built in flash, but we are still limited to one placement of the flash and one direction for the light. Also, diffusing the flash sometimes makes the light so open that shadows all but disappear and the light doesn’t really seem to come from any particular direction. A nice effect for some pictures, but other pictures benefit from having some shadows and some directionality to the light. What we really need to be able to do is get the flash off of the camera. The new wireless control systems that are built into DSLRs these days make doing that a snap. All you have to do while you're pursuing that calling frog is hold and work the camera with your right hand, use your left hand to support, focus and zoom the lens, and point the flash at your subject using your third hand. The camera and flashes will talk to one another to work out exposure. Awesome! Whats that? You say humans only have two hands? Well, I guess we’ll need something to hold the flash then. There are a variety of different ways to support off camera flash units, ranging from propping them up with rocks you find in the field to special purpose built brackets to hold the flash(s). I’ll often use small, table top tripods to hold flash units with really stationary subjects, but if the subject, (and hence me and the camera), will be moving, I’ll use a bracket. There are a variety of brackets available. The simplest are just rails that screw onto the camera at one end and have a flash mount on the opposite end. Slightly more complicated versions are bent into an L-shape so the flash is supported to the side and above the camera. 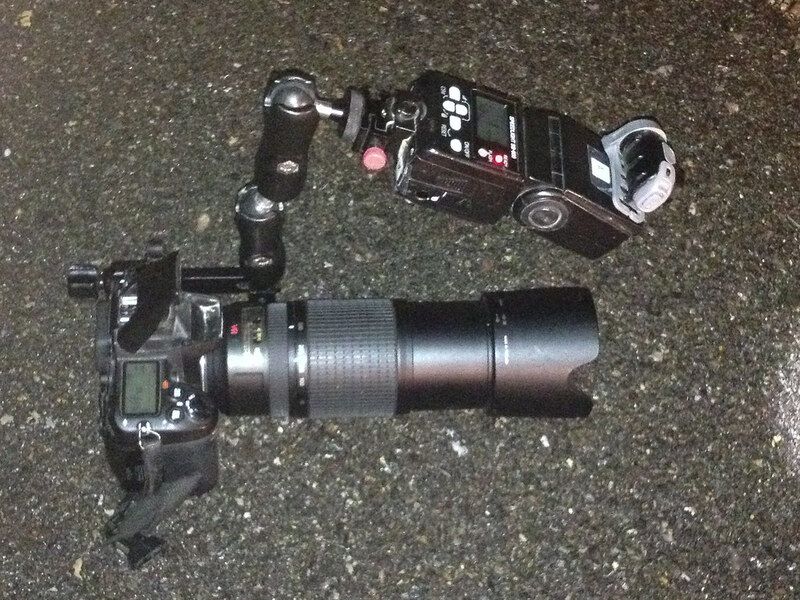 These simple units suffer from the same problem as mounting the flash in the hot shoe. The light always comes from the same direction. What we need is a bracket that can be adjusted to place the flash in a variety of different position, depending on where we want the light to come from. The bracket that I’ve been using for this purpose the last several years has been the Wimberley F-2 macro bracket. Wimberley is best known for there Gimbal type tripod heads which are favored by many photographers who can afford bigger lenses than I can, but they also offer a very nice, modular flash bracket system. The F-2 is actually a combination of two of their modules. The M-1 quick release arm is a simple straight metal bar about 5 inches long that has an Arca-Swiss style clamp at one end and is grooved to accept other Wimberley modules at the other end. (Please note: You have to have and Arca-Swiss style quick release plate mounted to your camera or lens in order to use the Wimberley bracket). 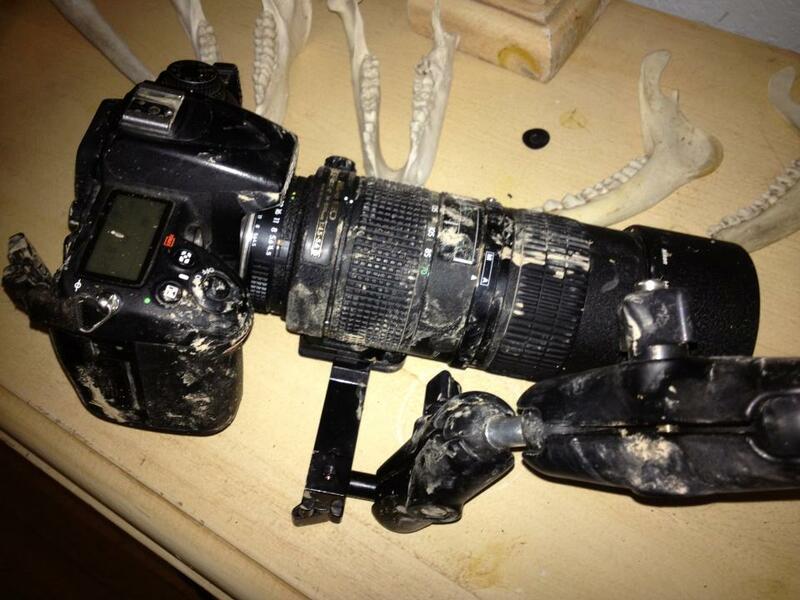 The other part of the F-2 is the M-4 macro arm. The M-4 consist of two clamshell style arms, each about 4 inches long. These each feature a T-handle, (basically a brass and plastic wing nut), that allow you to loosen our tighten the clamshells against small balls, (much like those in a tripod ballhead, except these are made of hard rubber). The lower arm attaches to the M-1 with a ball joint, while the upper arm has a tripod screw and base attached by a ball joint. The result is a bracket that can be changed into a variety of different configurations. (The Wimberley F-2 also folds up very compactly for storage in a camera bag). 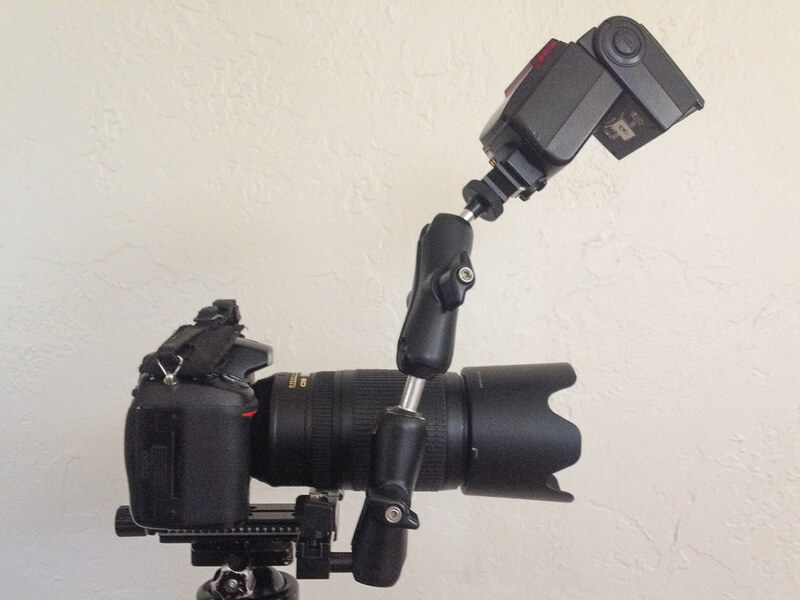 The bracket works best when attached to a lens with a tripod collar. That way once you’ve set up the bracket the way you like it you can easily switch from horizontal to vertical format by just rotating the lens in the tripod collar. The position of the flash wont change between formats. If your lens lacks a tripod collar you can mount the F-2 to the camera via two different methods. Wimberley offers the M-8, perpendicular plate ($85), which mounts to the Arca-Swiss style quick release plate on your camera body. The F-2 then mounts to the perpendicular plate and ends up in the approximately the same position as it would be if the lens had a tripod collar. However, you lose the advantage of easily rotating between horizontal and vertical formats while maintaining the position of the flash. 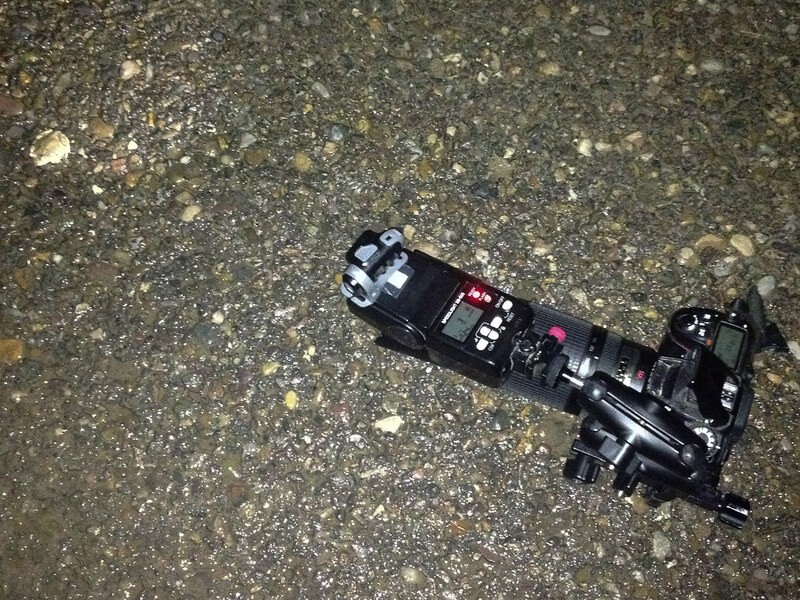 The other method of mounting the F-2 is to mount it directly to the body plate or L-plate on your camera. L- plates have the advantage of letting you switch between horizontal and vertical formats fairly quickly just by unclamping the bracket and changing its mounting from the side to the bottom of the camera. Not as quick as rotating a tripod collar, but quicker than loosening and repositioning the clam-shell arms each time. When mounted directly to the L-plate I tend to prefer mounting the bracket on the side, rather than the bottom. The disadvantage of this is that the bracket ends up on the left side of the camera where it somewhat impedes my left hand’s ability to adjust zoom and focus. Mounting to the bottom of the L-plate or to a standard camera plate allows the bracket to come up on either side, but places the lower clam-shell piece too close to the lens. The perpendicular plate on the other hand makes it just as easy to mount the bracket on either side of the camera, (very important for flash setups where the direction the light comes from matters), it also provides more space between the lower clam-shell and the lens. Additionally using the perpendicular plate allows the bracket to be mounted closer to the front of the lens, which provides for a bit more flexibility in positioning the flash relative to the subject. You can get more directionality to the light, because you can use greater angles between flash and camera. However, $85 for the perpendicular plate seemed pretty steep to me for what it is, so instead I bought a 120mm Nodal Rail made by Desmond Photographic Distributors, which you can pick up for $30. It does exactly what the perpendicular plate does plus if you shoot panoramas you can use the Nodal Rail to center the entrance pupil of your lens over the point of rotation and eliminate parallax errors in your panoramas. The 1/4 x 20 tripod screw on the end of the bracket allows you to attach flash cords, (like a Nikon SC-17 for example), or if you’re going to be using wireless flash you can attach a cold shoe. I really like the metal, clamp style cold shoes like the Vello CS, (seemingly identical cold shoes are also available under other brand names), which will set you back less than $10 each. The F-2 is very well made. I’ve put mine through a lot and only found one weakness. With a moderate to heavy flash unit, (I use Nikon SB600s, which I guess I would call moderately heavy), the clam-shells need to be locked down pretty tight to keep the flash from moving, especially if the whole apparatus gets bumped. The clam-shell arms are loosened and tightened around the balls using brass and plastic T-handles. If you get a too heavy handed while tightening them the plastic part of the handle will crack, at which point you will no longer be able to loosen that arm. The first time I cracked one I did some searching on the internet and found the replacement. They are officially called- 1.26 dia., 1/4-20 thds., Black Thermoplastic Plastic T-Handles Brass Insert Thru Hole- and are produced by -Essentra Components (formerly Reid Supply Co.). They cost just over $1 each. To replace a cracked one you’ll also need a 3 mm allen wrench and a pair of pliers. Replacement is pretty quick and easy. Use the allen wrench to remove the small cap that keeps the T-handle from completely unscrewing. Pull off the cracked plastic piece. Use a pliers to loosen the brass nut and then take it off completely by hand. Thread on the new T-handle. Then use the allen wrench to replace the cap you removed in step one. In the eight or more years I’ve owned mine I’ve had to replace two T-handles, so its not like its a frequent problem at all. I just wanted to add a paragraph on the replacement part and procedure, since the first time I had to do it, it took me quite a bit of searching to find the part. Hopefully this will save someone else that time. 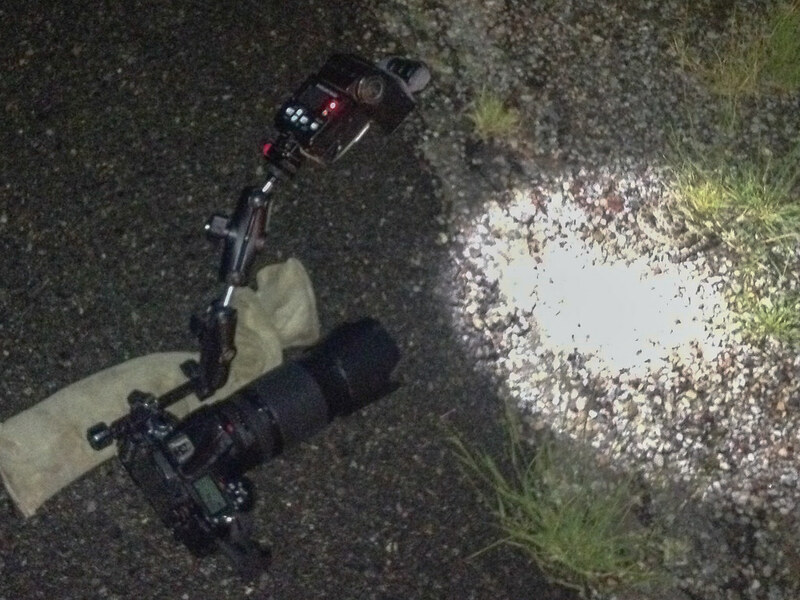 (My camera and Wimberley macro bracket after a typical night of photographing calling spade foots). So for the rest of the review I thought I would try to show how I use the bracket and I figured the best way to do this would be to go out at night and shoot some pictures with the bracket in a few different configurations, (I find I use basically 4), then take a quick shot of the camera and bracket with my cell phone to show each configuration. For all of these I mounted the F-2 directly to the side of my L-plate instead of the nodal rail, since I figured not everyone would choose to purchase the nodal rail/perpendicular plate. Some of the pictures of the camera were taken at a different time than the picture of the herp that goes with it. 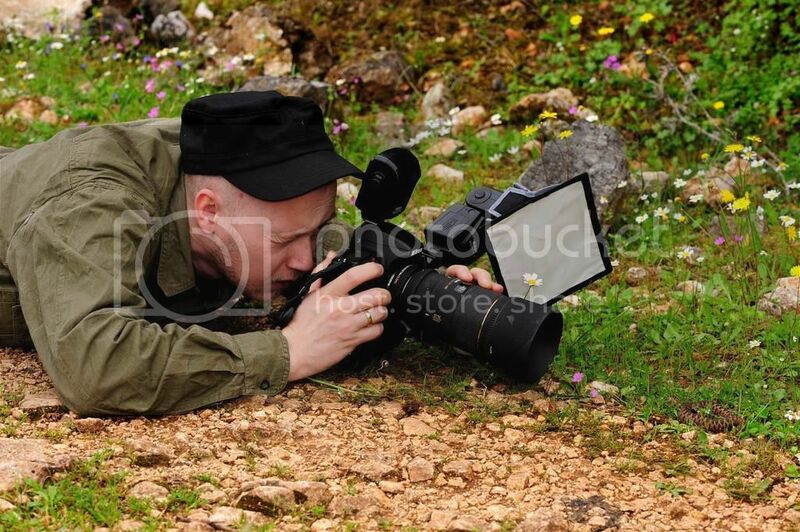 But each one is the correct camera setup for the herp picture it goes with. Each of the four configurations I’ll show involve a single flash with no diffusion. Naturally you could add diffusion to the flash if desired. 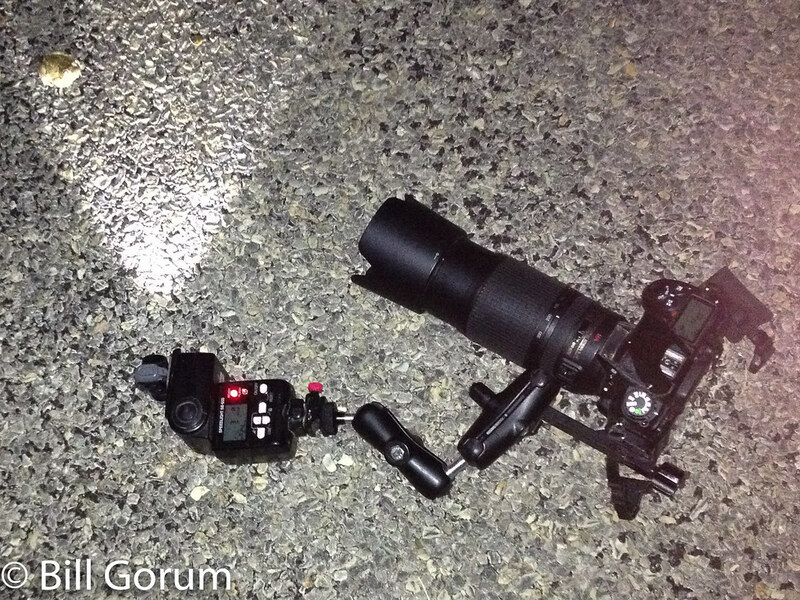 If you want to do a dual flash set-up you have to add a second Wimberley bracket to hold the 2nd flash. 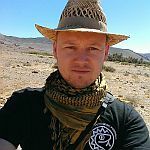 To me that seems awkward for field work, and there are less cumbersome alternatives if you want a dual flash set-up, (Nikon’s R1 or the ring-shaped Really Right Stuff brackets for example). Personally I prefer a single main light anyway. (I will however discuss using the camera’s built in flash for fill when using the bracket). This is the configuration I’ll often chose when I want dramatic lighting. If I use only the single flash on the bracket it produces a chiaroscuro effect that I really like for some pictures. 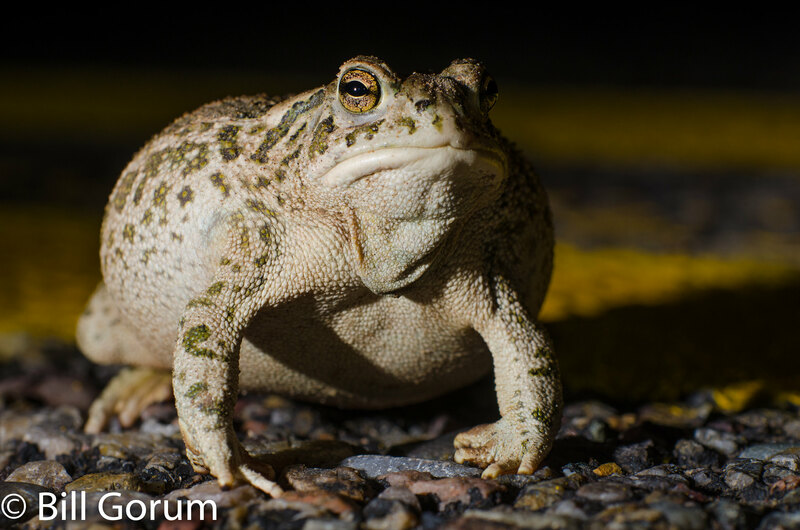 In this case this Great Plains Toad was puffing up and trying to look big and menacing when I approached it, so I thought the dramatic light was appropriate. This is definitely not the lighting you want for a “field guide” type shot where your aim is to show what the animal looks like with nice even illumination. I think this configuration usually looks best when the light comes from the head end of the animal. If you are using a lens with a tripod collar and a double dove-tailed plate, (recent RRS, Kirk, and Wimberley plates are all double dove-tailed), or the Wimberley perpendicular plate, (or other brand double dove-tailed nodal rail), it is pretty quick to change which side of the camera the light is on. You just unclamp the bracket and switch from the bottom to the top dove-tail or vice versa. Unfortunately it is not nearly as easy to change this if you mount the bracket directly to a camera plate. The Couch’s Spadefoot above has the light coming from the tail end with the F-2 mounted to the side of the camera’s L-bracket and you can see how doing this cast shadows across the animal’s face. In this case the eye is still nicely illuminated so I think the light works OK, but that's often not the case when lit from the back end. This is the setup I’ll typically use for calling spadefoots or other species that are in the open, that I want fairly evenly lit, and where I don't have time to worry about what side I’m lighting the animal from. The flash is placed directly above the lens and angled down at approximately 30°-45°. The exact angle depends on the working distance of course. It’s similar in some respects to bouncing the light down using a card or diffuser with a hot shoe mounted flash, except that the light tends to be more directional. Shadows are more obvious. In this picture of a Woodhouse Toad you can see how we still get some nice shadows under the toad and under each wart which help reveal the form and texture of the toad. Its a personal preference I suppose, but I much prefer this lighting when I’m looking for “field guide” type shots, (or other evenly lit pictures), to the nearly shadowless light one often gets with diffusers. This configuration is basically intermediate between configuration #1 and configuration #2. It has the same disadvantage as configuration #1 in that the light tends to look best when it comes from the animal’s head end, but because the light is also coming from above it is more forgiving in this regard than configuration #1 is. 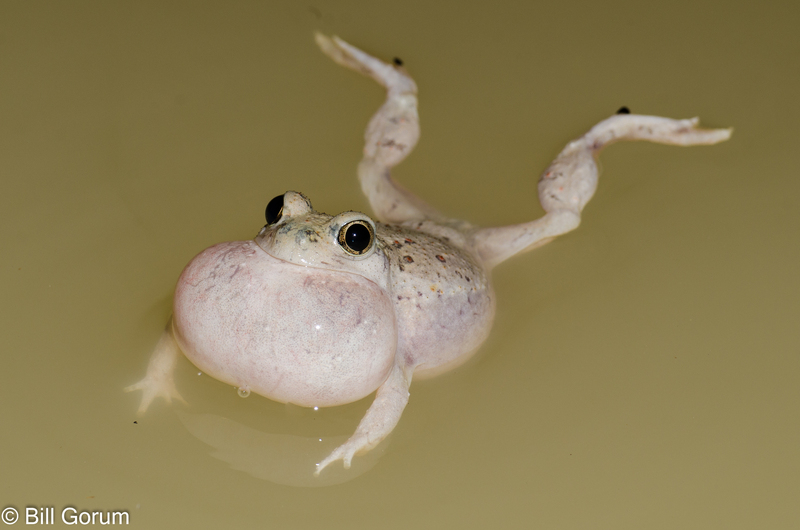 This is another configuration I’ll often use for calling frogs. It gives some of the same chiaroscuro effect as configuration #1, but is less unwieldy in the field. (The flash cantilevered out to the side in configuration #1 is hard to support if you’re moving around a lot and I’m always worried I’m going to dip the flash into the water when going for really low angle shots of calling frogs). Using configuration #3 together with a low camera angle usually results in a black background, (same goes for configuration #1 and to a lesser extent configuration #2). This is not due solely to the inverse square law of light falloff, but also the fact that the low camera angle sees parts of the background that the flash is not pointed towards at all. The transition between well lit and inky black tends to be much more abrupt than what one gets with a built-in or hot shoe mounted flash. This can be a nice effect for nocturnal species, but sometimes you’ll want more light on the background in which case you’ll need to chose a smaller angle, (by bringing the flash closer to the lens), in order to throw more light onto the background. This is my least favorite setup, but it is sometimes necessary. For this setup the flash is placed directly above and parallel to the lens. It produces straight front lighting similar to what you would get with the camera’s built in flash, but with no possibility of the lens blocking the light and with more power, (assuming your external flash is more powerful than your built in flash), and hence greater range than the built in flash produces. I use this setup in two different situations. 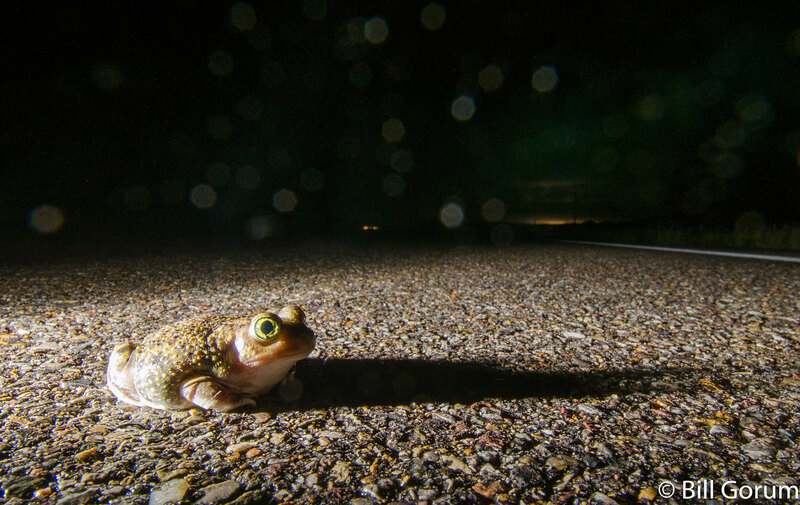 The first would be when a frog is calling from within vegetation or any similar situation where having the flash at any sort of angle would cast unwanted shadows or completely block the light from the flash. The straight front light is boring, but the advantage is that if my lens has an unobstructed view of the animal, then the light has an unobstructed path to that animal as well. The second situation where I’ll use this is when the animal is more than a meter or so away. Once you get out of the close-up range all configurations essentially start to become front lighting any way, and placing the flash directly above the lens makes aiming and supporting the flash easier. 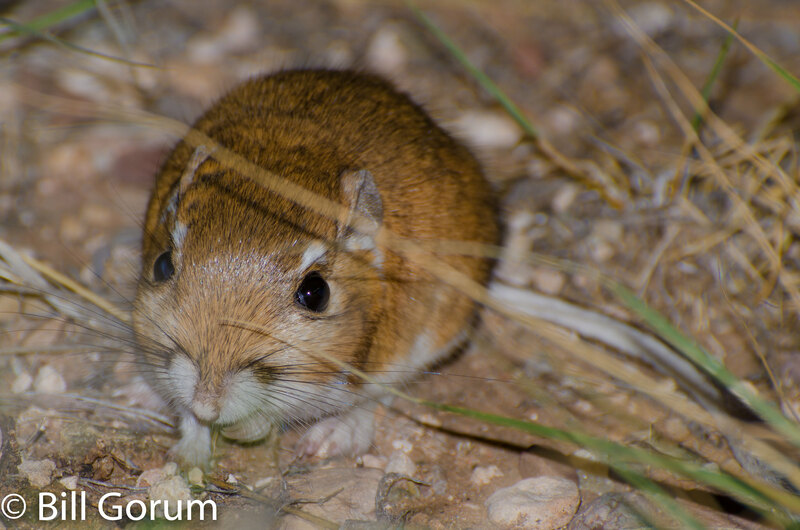 The Merriam’s Kangaroo Rat picture is an example of this second situation, but you can also see in that picture how the shadows get thrown almost directly behind the objects that cast them which is exactly what I want to happen in the first situation I described using this configuration for. For this review I wanted to cover just single flash setups with the Wimberley F-2. I’ll often use mine in conjunction with another external flash mounted on a tripod, but that is really beyond the scope of this review. However, since almost all of us have cameras with built in flashes I thought I would add a short section on combining the F-2 and the built in flash. On my camera my built in flash can serve as the commander for my wireless external flashes. That basically means that my built in flash sends out short burst of light before the shutter opens, that are used to communicate with and set the exposure of my external flashes. The whole system is really simple to use and works amazingly well. In addition to controlling my external flashes I can also let my built in flash contribute some light to the exposure if I want it to. For all the examples I’ve included so far the built in flash was set to control the SB600, but not contribute any light itself to the exposure. 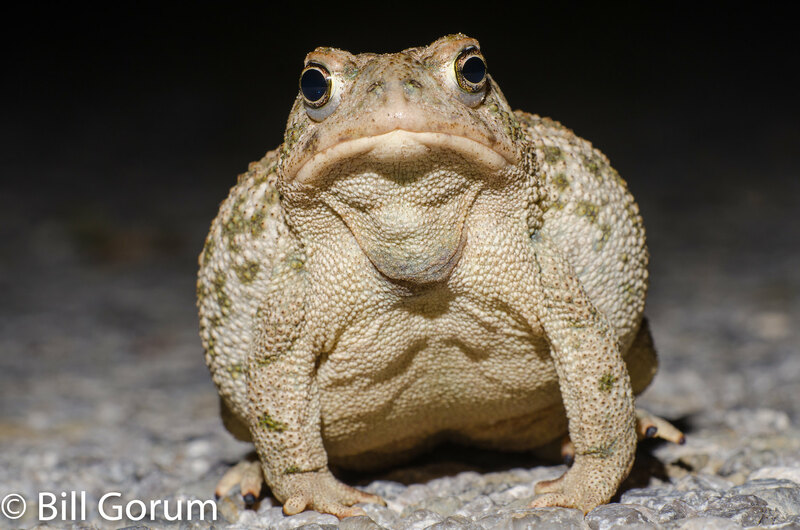 If you look back at the picture of the Great Plains Toad you can see the strong black shadows that the single external flash coming from the left side produced. In the case of that picture I like the effect, but sometimes I want shadows to delineate form, but I also want some detail in those shadows. A readily available solution to achieve that goal is to use the built in flash to cast some fill light into the shadows produced by the external flash. On my camera I can not only control whether or not the built in flash contributes to the exposure, but I can also control how much light it contributes. 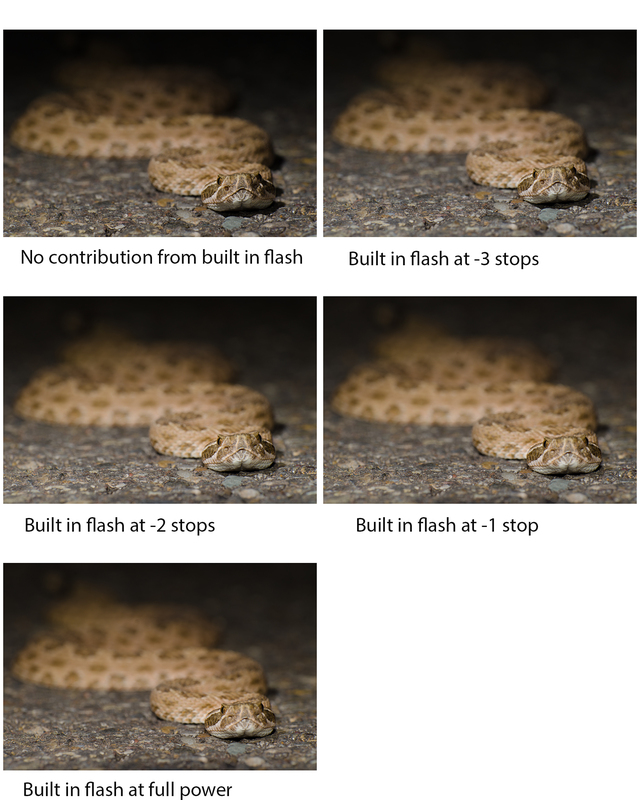 Below are a series of shots of a cooperative Prairie Rattlesnake. I used the flash in the configuration #3 position and it was aimed so as to throw very little light onto the back end of the snake. This produced a “coming out of the darkness” effect that I like, and it also provides some more dark area for the built in flash to try to fill. I started out with the built-in flash providing no light for the exposure, (it only provided the monitor pre-flashes at the beginning to determine exposure), and then progressively added more and more light from the built-in flash. Personally I prefer the shot with no fill at all in this case, but you can see how the built-in flash is adding more light to the shadows on the snake’s right side and to some extent even to the darkness towards the snake’s tail. Of course the built in flash is never able to completely fill the darkness towards the snake’s tail because of fall-off, (and in this case I wouldn’t want it to do that anyway), but it is quite effective at filling in the shadows on right side of the snake’s head. For my taste the results with the built-in flash at full power and -1 stop are too much like just using the built-in flash alone, (straight, boring front lighting). The results at -3 and -2 stops however still have enough shadow to give the light a sense of direction, but there is detail in those shadows as well. For focusing and composing while using the F-2 at night I’ve found a small flashlight velcroed to the top of the flash to be the best solution. If the flash light is illuminating the subject then you know the flash will to. (Technically the flashlight illuminates an area just above where the flash does. However, since I usually have my flashes set to their widest position the slight alignment error is usually insignificant. The flash illuminates a much broader area than the flashlight does). This also gives you a pretty fair preview of what the light will look in any particular position, differences in alignment and coverage between flashlight and flash not withstanding. If you decide to get the F-2 and will be using it with non-collared lenses seriously consider the perpendicular plate or a nodal rail as well. They really do make the F-2 more versatile and easy to use and they work great as macro sliders too! The F-2 is available directly from Wimberley or from photo retailers like B and H for about $170. Its compact, well made, and provides a lot of versatility for close-up lighting. What more could you ask for! Great review. One additional thing with these is that, at least with the perpendicular plate, you can pair two of these together and get a twin flash, essentially. I have two that I've been using along with 9" Impact QuikBoxes that really makes the light nice. Having such large diffusers does limit the positions you can have with the with the bracket, but I have been surprised at the strength at the brackets. Fully tightened, I can use one of the brackets as a handle, which will hold up my DSLR, lens, flash, and other Wimberley set up. Another thing, you can get a quick release mount for the Arca-Swiss style plates. I have a Gitzo quick release head, which is not Arca-Swiss, but the Wimberley QR plate (C-12) allows for that conversion. I would say the only con I've come across with these is that Wimberley is a bit overpriced, IMO. You're going to spend over $200 for one of these brackets and all the hardware necessary to use it. And awesome on the replacement advice! I worry about tightening the screws too much and breaking the bracket. Good point about the Wimberley C-12. It is a quick release clamp that you screw onto a normal, non quick release, tripod head. Similar clamps are available from a variety of different manufacturers, including some unbelievably inexpensive ones sold on eBay. I might be a little leery of those, but Desmond and Sunwayfoto, offer clamps in the $30-$40 range and I can vouch for the quality of both those companies' stuff. If you do buy a quick release clamp for your tripod head make sure to get one that is at least 2 inches, (60mm), long. Also if you don't already have Arca Swiss style plates you'll need one of those. My girlfriend recently had a project for which she needed to borrow my tripod and since she did not have a quick release plate for her camera I did some searching for a reasonably priced one. I found her a universal L-plate called a MPU-100 on eBay. I have no idea who actually makes the L-plate, but it only cost $10 and works pretty darn well. It doesn't fit the contours of her camera like the far more expensive camera model specific ones do, so it has a tendency to become loose over time. However it mounts to the camera using a screw with a built in key which can be tightened easily without any tools. For the price I think it works great! bgorum wrote: Good point about the Wimberley C-12. 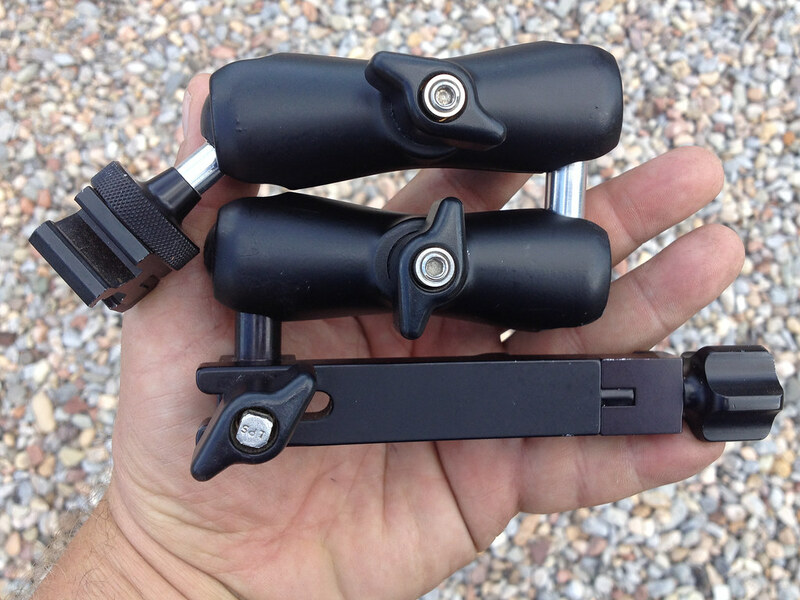 It is a quick release clamp that you screw onto a normal, non quick release, tripod head. Similar clamps are available from a variety of different manufacturers, including some unbelievably inexpensive ones sold on eBay. I might be a little leery of those, but Desmond and Sunwayfoto, offer clamps in the $30-$40 range and I can vouch for the quality of both those companies' stuff. If you do buy a quick release clamp for your tripod head make sure to get one that is at least 2 inches, (60mm), long. Also if you don't already have Arca Swiss style plates you'll need one of those. My girlfriend recently had a project for which she needed to borrow my tripod and since she did not have a quick release plate for her camera I did some searching for a reasonably priced one. I found her a universal L-plate called a MPU-100 on eBay. I have no idea who actually makes the L-plate, but it only cost $10 and works pretty darn well. It doesn't fit the contours of her camera like the far more expensive camera model specific ones do, so it has a tendency to become loose over time. However it mounts to the camera using a screw with a built in key which can be tightened easily without any tools. For the price I think it works great! You can use the C-12 with a quick release tripod head. My Gitzo head is a QR head, so I just attached a QR Gitzo plate to the C-12, and now I can use either without any problem. I'll have to look into that L-plate. Heard about these years ago. Just googled them, wow...they have come down in price quite a bit. Almost worth looking into. A quick question - as you look upon the use of flash as an necessary evil (which I can understand in some (many really) circumstances. Why are you not using a softbox on your flash to get better diffusion on your light ? Thor Hakonsen wrote: A quick question - as you look upon the use of flash as an necessary evil (which I can understand in some (many really) circumstances. Why are you not using a softbox on your flash to get better diffusion on your light ? It's the artificial look of the light often produced by flash that I see as the "evil". As I mentioned in the review I like shadows. 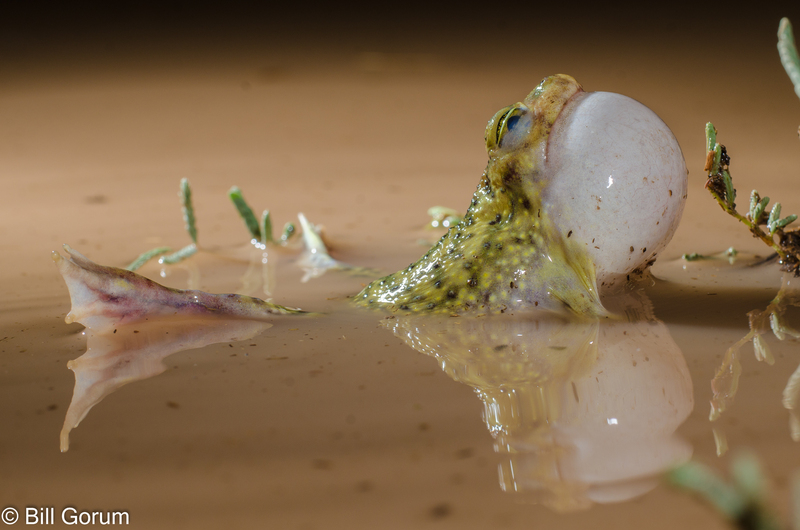 There is in my opinion a certain sameness to all the diffused soft box pictures of herps one sees so many of. The reason I vastly prefer available light is because it's so variable. It can come from so many directions and have so many different qualities. I would never want to limit myself to shooting only on overcast days, so why would I want to always diffuse my flash? I want to be able to simulate some of directionality we often get with available light when using flash. Also, I wanted to limit the review to one variable, (the placement of the flash). Adding in various types of diffusion, multiple flashes, etc. is beyond the scope of what I wanted to do here. There are in fact other reviews in the sticky at the top of this page that deal directly with diffusers for those that are interested.